This Sunday I’m scheduled to be a guest on the show Co-parenting Matters. The term ‘co-parenting’ may be new to some so let me define it before proceeding further. The American Heritage Dictionary defines it as follows: “An arrangement in a divorce or separation by which parents share legal and physical custody of a child or children.” It’s essentially learning to parent along with the other parent when a relationship has ended. You see, when people get together, they never really plan to end up apart. But, you know what? Life happens. And when it does, sometimes people end up going their separate ways. It’s been my experience that the more intense a relationship is, the more deeply wounded the parties can potentially be when it ends. But, as I often say, no matter how difficult a breakup is, when there are no children involved, when it is over, it is over. So if the persons choose to never see each other again, that works just fine. The pain subsides in a relatively short time and they move on with their lives. Put children in the equation, and there’s a bit more to consider. People who once were in love – to the point that they committed to love each other “till death do us part” – are no longer in love. Yet, they still have a bond that connects them perpetually – a child that they love. This can make it quite complicated and challenging in many ways. I went through a divorce almost 10 years ago. You can read of this in The Story Behind The Upbeat Dad. The entire process – the legal aspect, in particular – took its toll on me. And as many divorcees can tell you, when attorneys become involved it can get messy. In my case, suffice it to say, it wasn’t pretty. But guess what? Because of our little 3 year old daughter, we knew we’d be connected forever. No more “you go your way and I go mine” like happened in each of our former relationships. Here is something that many who have been through an unpleasant divorce with kids can tell you: the person who causes you so much grief and heartache is a direct connection to the person or persons who bring you so much joy. My daughter was and still is an absolute angel. She’s a 12 year old, well adjusted, wonderful child. But, at least during the divorce, my ex and I were just not on the same page – and that made it so hard. In the years that have ensued since, as the pain and hurt from the divorce has subsided, my former wife and I have developed a positive working relationship. We came to the realization that life goes on and we could spend forever talking about the past and blaming each other for what went wrong; or we could work together to be the best parents to our daughter. It hasn’t been easy but time has taught us well that it’s so much better this way. Partnership concept: The other parent should be your partner – not a competitor. There’s no need to try to “out-parent” the other party. As a dad, you can only be that – a dad. The same applies to moms. Just focus on being the best dad or mom you can be and not on trying to outdo the other parent. (S)he is your partner – not a competitor. Words Matter: The words you use when speaking to your kids about your ex matter very much. Even if the ex did the most horrible things, do not speak negatively of them in the kids’ presence. It can ultimately work against you. Kids are much smarter than we might think. And if we degrade their other parent in their presence, their innate tendency is to defend that person. That may not happen initially but eventually it often gets to that point. Respectful Communication. Aretha Franklin’s signature career song is R-E-S-P-E-C-T. This word is a key to developing meaningful communication with your ex. So that means, no more yelling and screaming. No reminding the other person of the wrong that they may have done. The sooner there is respectful communication, the sooner there is progress in the relationship. You may need to send text messages or emails because phone calls can sometimes conjure unpleasant emotions. Whatever the means of communication, just try to do it with respect. Contact with Kids: Ensure that whenever the kids are with you, that your ex has 24/7 ability to contact them. 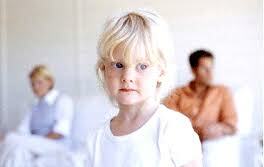 Parental alienation is a big issue that often arises when divorce hits home. Many men, in particular, become discouraged by this issue. It’s not out of the ordinary for the family court to turn a blind eye to the alienation that occurs during and after a divorce. 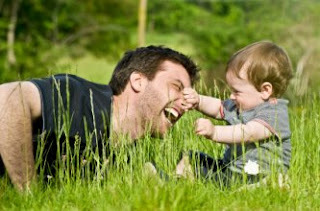 Kids need to feel that wherever they may be physically, they are no more than a phone call away from their dad or mom. Notification of “Need to Know” Matters: When couples are happily married, there are certain “need to know” things that they don’t hesitate to let their spouse know as it relates to the kids. A few examples are: school-related matters, healthcare, sports, etc. But somehow, when divorce hits the home, some feel that the other parent no longer needs to be notified. That’s unfortunate because it’s the kids who end up being disadvantaged. For example, if your child is struggling in school with a subject and you talk to the teacher about it, wouldn’t it be a good idea to coordinate a plan of action with your ex? Such communication may not always be practical but it’s an ideal that should be aimed for. There are many more tips that I could share on this matter but I’ll leave it at that for now. 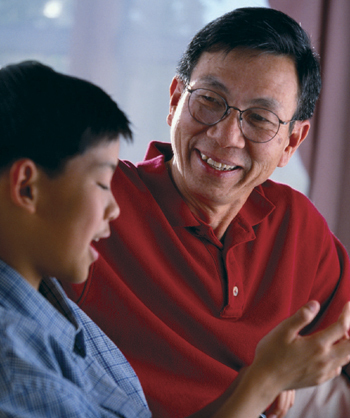 Your kids deserve to have the love and guidance of their dad and mom even if there’s a divorce. Parenthood is a perpetual bond that literally is “till death do us part.” Husbands and wives can go their separate ways but parenthood is perpetual. When parents learn the benefits of working in a cooperative manner with their ex, it makes it easier and less stressful on everybody. I hope that this post has been helpful. If it applies to you, try to implement what you’ve learned. If you know of others who could use the lesson, do share it with them. I believe that it can have a lasting impact if put into practice. NBA Star Dwyane Wade: A World Champion Dad!